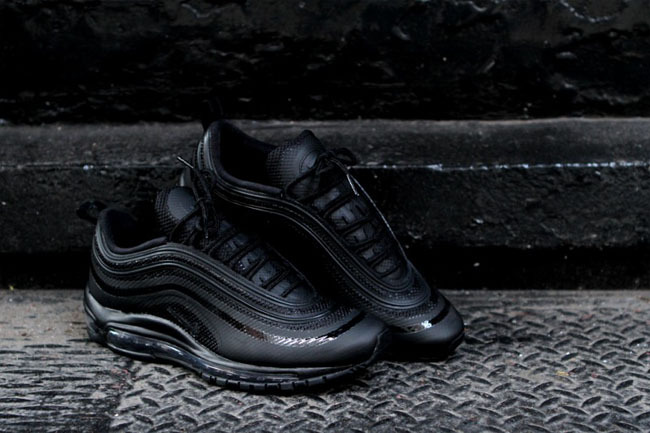 Nike's updated Air Max '97 is back in a tonal black colorway. 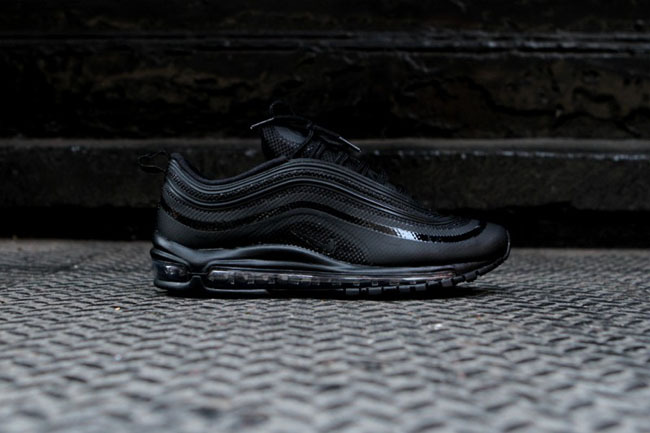 Nike's updated Air Max '97 is back in a tonal black colorway. 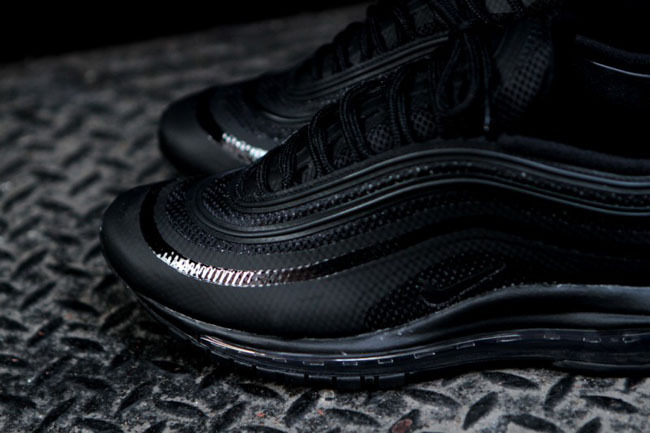 The contrasting matte, gloss and mesh layers of the upper give a subtle contrast thanks to its Hyperfuse construction. Sure to be a hit with NBA referees, this Black / Black / Neutral Grey colorway is available now at Kith for $155.